Most liturgical ministries are carried out in a very public way, for the entire congregation to see. The priests and deacons, the acolytes and readers, the musicians, the ushers, and almost all the rest do their work when everyone is there. The altar guild, however, is different. Most of the altar guild’s work happens in the days between Sunday and Sunday when no one is there to see. Even on Sunday, hardly a soul sees what the altar guild does to make the liturgy possible. It’s a behind-the-scenes ministry, and that can make it an unappreciated ministry. When most Episcopalians think of the liturgy, they think of the words. We sometimes say that the Prayer Book defines us, and we can take that to mean the words on the page. But the liturgy is far more than words. It is an event, and it is the altar guild that sets the stage on which the event unfolds. For many years, I joined the people of St. John on the Mountain in Bernardsville, NJ, for Sunday Eucharist. The altar guild there was, like most others, a dedicated behind-the-scenes group who made it possible for the rest of us to celebrate the liturgy with dignity and grace. The parish’s commitment to liturgical beauty is so marked that it commissioned an entire set of silver altar ware — everything from host boxes to candlesticks — from J. Wippell and Company, the British supplier of liturgical vestments and vessels. The design is of such high quality that Wippell markets the “Bernardsville” collection of altar ware: the only named collection in its catalogue. 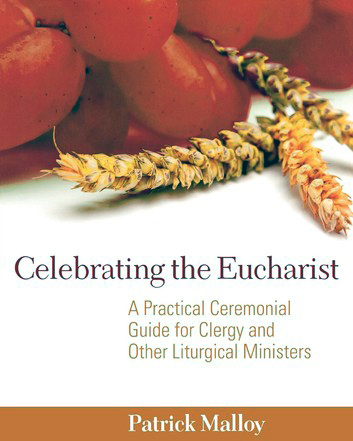 My thanks to Jane Mercer, a member of that altar guild, who invited me to share excerpts from my book, Celebrating the Eucharist, to highlight the importance of every altar guild’s ministry.